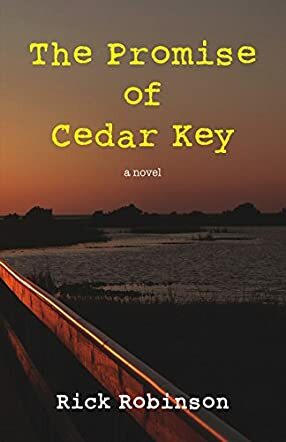 It had been a long time since college, but Bobby Wade travels to Cedar Key to take care of business that he should have handled years ago in The Promise of Cedar Key by Rick Robinson. Playing catch-up is difficult though, especially when it involves self-examination and coming to terms with events outside of one’s control. As days go by in this peaceful little town, Bobby comes to some realizations with the help of a unique lawyer and his wife, as well as a few other townspeople. Surprise revelations challenge Bobby’s outlook and bring about intense soul searching, an interesting concept for a writer who has become complacent. With newfound insights, Bobby tries to make decisions about what he wants from the future and may make some changes now that he feels there is something worth his attention. Rick Robinson creates a clear and interesting look at coming of middle age in The Promise of Cedar Key. Not everyone grows up as an adolescent or young adult – or at least comes to a full understanding of the path to contentment - and Robinson provides plenty of psychological background for a main character struggling to get his life back on track. The support of the other characters is realistic and offers options for Bobby to accept or decline, just as in everyday life. The vivid descriptions of the setting put you in the story and provide the ideal background for the emotional break needed for psychological growth to take place. Great story, well written and deeply moving. The Promise of Cedar Key presents a wonderful springboard for you to begin your own tour of self-discovery while enjoying a deep and satisfying read.